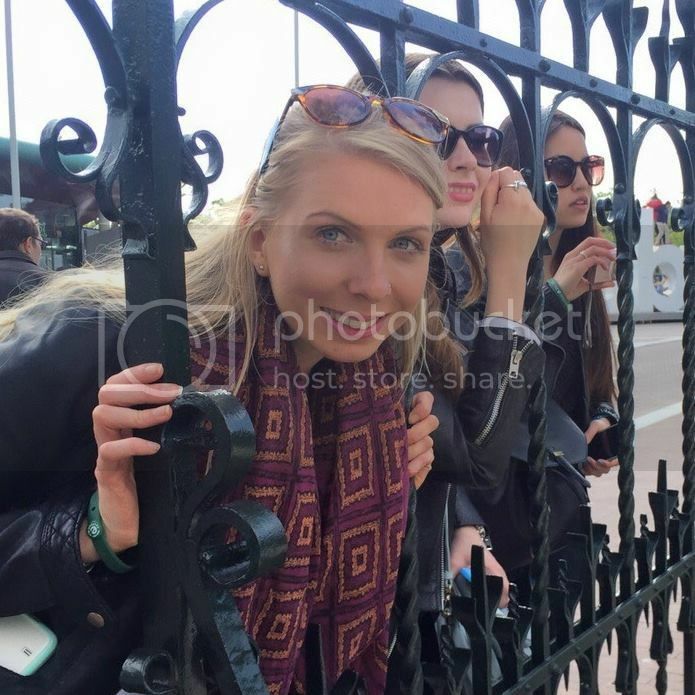 Floral Republic: My experience of becoming a Journalist. Hi all, I've been spending some time working on this post and it's a little word heavy so I apologize, but hopefully some of you will take the time to read it! I don't really talk about my job too much in my blog as I use this as a personal space to ramble about beauty and shopping! But in a couple of recent posts I have had a few comments asking about my job and how I find it etc. so I thought I'd share my story on how I became a journalist and what it is like. Hopefully it will be of some use to anyone at university or considering a similar career path! Applying for university was quite stressful, especially as after writing my first UCAS personal statement my tutor at college actually said to me 'for someone who wants to be a journalist you're not a very good writer' - very encouraging (although jokes on her now really.) I didn't have much experience in journalism at all and getting a place onto a journalism course was extremely competitive.At the time it felt like everyone was applying to do journalism and it was hard to stand out. It is generally quite difficult to get work experience within the industry before you are 18 so I had only done a little bit of writing for my college magazine and done a few extra curricular things like joining the media society. Still, I put as much as I could on my application and took some examples of my work along to university interviews. My advice for anyone applying to do Journalism at university is get as much experience in as you can - even it is just something small. Also it is important to do some research and brush up on current affairs and politics ahead of any university interviews. One of the places I applied for actually made everyone complete a test on current affairs and news stories during the interview so be prepared! My first choice of university was Bournemouth but I was unsuccessful in getting a place (even though my predicted grades were higher than their entry requirements) it was just that competitive to get into! After being rejected from them I felt very disheartened and considered deferring for a year but I then went for an interview at Nottingham Trent to study Print Journalism and absolutely loved it there, and they offered me a place! As part of my course I learnt the basics of reporting, media law and shorthand. We had to get to grips with court reporting and finding patch stories (which are news stories from a local area). It was a lot of fun as we got a bit of an insight as to what it is like to do 'real life' journalism reporting. The only thing I found disheartening during my course was the amount of modules that put a lot of people off journalism. For example, one of our modules talked about the media's power and politics, which was essentially an hour of criticising how the media works, how bad journalists are, etc etc...if you can come out of it and still want to be a journalist though that proves you have dedication! University is the best place to take advantage of any work experience opportunities. The lecturers had their own contacts within the industry so would often email about opportunities at local newspapers or even local charities that were looking for assistants with their website or newsletter etc. My tip for anyone studying journalism at university is to get involved in as much as you can so you can fill up your CV with a range of different experiences. Most universities also have their own magazine or radio station so I definitely recommend getting involved in those. I wrote for my university magazine throughout my first & second year then in my third year I became the Fashion & Beauty Editor for the magazine which was a great opportunity, I also presented and read the news on our university radio station. These aren't just a bit of fun, you get the opportunity to network and meet people within the industry at things like the Student Radio Awards. There are plenty of other things you can get involved in at university that aren't necessarily journalism-related but look great on your CV. Getting involved in the students' union, undertaking leadership or skills award courses, joining a society or doing some volunteering will help you to stand out and give you something to talk about at job interviews! While I was in my second year of university we also had to undertake a work placement so I did two week's work experience at my local newspaper at home while I was back for the Easter holidays. I graduated from university in July 2013 and got on the job hunt sharpish. I sent my CV off to pretty much anywhere and everywhere - both journalism and PR roles - and mostly received the same response - that they weren't hiring. Not long after graduating I did a two-week internship at a PR agency - Instinct PR -which I loved, although the commute to London killed me! Once my internship was over it was back to the job hunt. I had an interview with a newspaper group but was unsuccessful, then finally, a couple of months later, I went for an interview at the Surrey Advertiser, working on their Hampshire paper - the News & Mail (where I had undertaken work experience previously) and was offered the job! I have been there just over a year now and thoroughly enjoy it, I have learnt so much since I have been there. I believe that doing a journalism degree doesn't truly prepare you for a journalist role, it is mostly learnt on the job and you pick it up as you go along! We are a weekly newspaper so have a tight deadline every week. Some weeks the paper is easy to fill (particularly if there a lot of court cases on), but others can be a struggle and you have to rely on contacts in local councils, community groups etc. to see if anything interesting is happening locally. We also cover court cases, which is always very interesting, and sometimes report on inquests too. It's definitely a challenge and can be stressful at times but it is also very rewarding. There are some perks of the job, I have been on some exciting trips and written interesting features, plus I got to meet Jacqueline Wilson last year which was definitely a highlight. On the other hand it is surprising how many members of the public dislike journalists and are constantly rude to you or criticsing your paper - you just have to take it on the chin. I have found that becoming a journalist has definitely made me a stronger and more hardy person. There's so much more I could say on the topic but I'm worried I have rambled too much! If you have any questions please feel free to leave them in the comments below. I hope this has been helpful! My brother is currently applying for journalism courses, so I'll show him this post - I'm sure he'll get lots of important information from it. It sounds like you've worked really hard, congratulations on your current job. 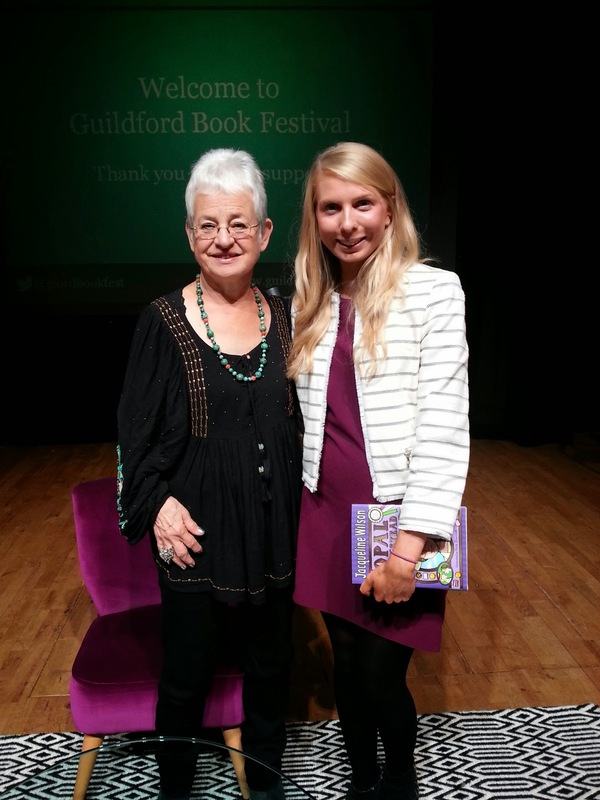 You got to meet Jacqueline Wilson? Wow! That's really exciting! Hopefully you'll continue to get lots of fun experiences from your job!